Running from store to store in search of that perfect pair of shoes can be frustrating and time-consuming. Thankfully, there are a number of quality online shoe sites that allow you to search and compare styles with minimal effort. Even better, many of these websites offer free shipping and free returns, ensuring that you get the perfect pair of shoes for the perfect price. So make sure that you take advantage of this list of the best shoe websites and everything that it has to offer. And, for even more online shopping know-how, check out our list of the best clothing websites. You will be able to find the perfect outfit to go with your new pair of shoes. 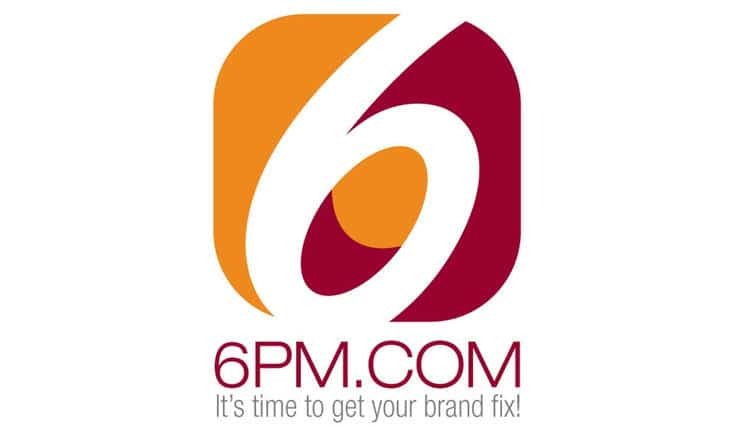 Featuring shoes for the whole family, 6 PM offers a variety of popular brand names. Offering a variety of different styles and free shipping, regardless of size or value, you are going to love shopping for your next pair of shoes at 6 PM. Carrying women’s shoes and boots, Infinity Shoes is an excellent site for imported leather boots and shoes from Europe. Infinity Shoes also helped establish the Miz Mooz brand and orders over $50 ship free ($5 flat rate for orders under $50). Part of the Amazon family, Zappos is known for its customer service and variety of products. Both of these qualities are going to make shoe shopping a breeze. With such a broad range of quality shoes, brands, and service, Zappos was a natural choice for this list. America’s first online shoe retailer, Online Shoes offers more than 300 shoe brands on its site. Bonuses include free shipping, free exchanges, 24-hour customer service, and international shipping. Make sure that the next time you are doing some online shoe shopping you give Online Shoes a visit. 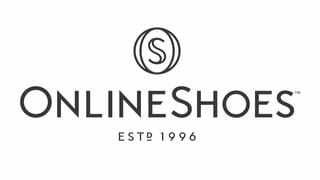 A sister company of Online Shoes, Shoes.com offers styles for the whole family. The site also offers free shipping, free returns, and real-time order tracking. A number of different styles are also offered on the site. So if you have a specific style of shoe in mind, Shoes.com is probably a good place to start looking. The Scarpetta is going to specialize in designer women’s shoes. Their site offers a variety of fashionable designer shoes to choose from, and shipping is free in the US as well. So if you have a special occasion coming up that requires your best foot forward, Scarpetta is the place to shop. Amazon has long been known for its customer service and quantity of product, and Amazon’s shoe department is no different. Reviews, high-quality pictures, and fast shipping add to the appeal. If you are a Prime member, you will also be able to get a large number of shoe options shipped to you for free. DSW features both an online shop as well as brick and mortar stores. Both in-store and online they offer a large selection of quality shoes for the whole family. Also, shipping is going to be free for orders over $35, and returns can be shipped back or brought to a store. All of this makes DSW a hassle-free shoe shopping experience. When it comes to sports shoes for pretty much any sport, Eastbay is hard to beat. So regardless of the sport you play, there is a good chance that Eastbay has what you are looking for. Even if you don’t play sports though, you will be able to find some stylish athletic shoes that fit your style. Started in 2009 and serving millions of women today, Shoedazzle is going to allow you to look for shoes that fit your unique style. From featured boutiques to sandal shopping, you will be able to browse a wide variety of great shoes. They also offer a VIP shoe membership that will allow you to get extra deals, free shipping, and access to new selections each month. Get your online shoe shopping done all in one place with Shoe Carnival. They have shoes for everyone and pretty much any occasion. You will be able to look through a number of great brand names and will be able to find exactly what you are looking. Also, with great online deals like buy one get one half off, you will be able to shop knowing that you are also saving. And, for a cherry on top of the savings sundae, they also offer free shipping on orders over $75 as well. If you wear an odd shoe size or maybe have a wider foot, it can be hard sometimes to find a great pair of shoes that fit you. Peltz Shoes specializes in hard to find shoe sizes. So not only will you be able to shop a bunch of great looking shoes, but they are also going to offer them in your size. With excellent values and great brands, Peltz Shoes is going to be an excellent option when it comes to online shoe shopping. Shoe Palace started as a small family business. Today, they are a popular shoe store used by people from all around the world. 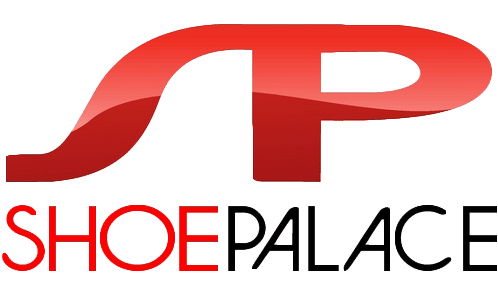 Offering only “elite shoes and apparel brands,” Shoe Palace is going to cater more to the high-end athletic shoe wearer. Their shoe selection is going to feature brands like Nike, Puma, Vans, Adidas and more. This quality selection will allow you to be able to find exactly what you are looking for when it comes to your perfect pair of athletic shoes. With Go Jane it has never been easier to complete your killer outfit with the right pair of heels, boots, wedges, etc. Go Jane is going to offer unique shoe styles for every occasion. You will also be able to search and find the shoes that best fit your style and personality. And for savings, Go Jane also does a number of shoe releases and different deals throughout the year. With all of this, Go Jane needs to be a regular stop when it comes to your online shoe shopping. ShoeMall has one of the largest selections for men’s, women’s, and kids’ shoes available. They are going to have all of the brands that you love at a great price. With hundreds of brands, you will be able to shop your favorite brand or try a new one that catches your eye. Also offering free shipping every day and loads of savings, ShoeMall is going to be a must visit when it comes to online shoe shopping. You might have already guessed it, but Heels.com is going to focus on selling heels. With the ability to search by brand, color, style, occasion, and more, you will be able to find the perfect set of heels. You will also be able to save time and save money as you shop. So if you are looking for a new pair of heels, starting your search at Heels.com is pretty much a no brainer. The foot is the body’s foundation and supports everything else as you are standing or walking. FootSmart provides stylish, great fitting shoes that will help support that foundation. So if you struggle with heel pain, arch pain, etc. FootSmart is going to be an excellent option for you. From athletic shoes to boots to casual shoes, FootSmart is going to ensure quality, comfortable shoes for all. Famous Footwear is going to allow you to shop a wide variety of styles for men, women, and children. They offer shoes from all of the name brands you have heard of, and some that you may not have heard of as well. With free shipping on orders of $75 and different coupon codes, you will be able to shop with financial peace of mind. So enjoy the great selections at Famous Footwear the next time you are looking to do some online shoe shopping. If you are a runner, you know how important it is to have the right pair of running shoes. With Running Warehouse you are going to be able to find that perfect pair of running shoes. You will be able to search through all of the great running brands and find what works best for you. Also, with free two-day shipping and “no sweat” 90-day returns, you can trust the shoes that you are getting from Running Warehouse. So start enjoying your running more than ever with a great pair of running shoes from Running Warehouse. With slip-resistant outsoles, Shoes For Crews is for workers that need a great pair of shoes to work in. Whether it is in the service industry or on the construction site, you will be able to find a great pair of work shoes. These are going to be shoes that you can trust to help you get the job done throughout the day and will stand the test of time. The right pair of heels, sandals, flats, etc. can bring an entire outfit together. Nine West is going to help you bring your outfits together by providing stylish shoes at a great price. With new shoes and rotating sales, you will be able to find, buy, and enjoy your shoes without feeling guilty. Because who doesn’t enjoy a great pair (or pairs) of shoes at a great price? With great new styles and brands, Journeys is going to allow you to stay on top of the fashion trends when it comes to the shoes that you put on your feet. Journeys offers both free shipping and free in-store returns on orders over $40. So if you order a pair of shoes that don’t turn out the way you wanted them to, it is as easy as returning them to the store. With featured brands like Adidas, Vans, Birkenstock and more, you will not be disappointed with Journeys. If you enjoy a great pair of well-made leather shoes or boots, Shoe Passion is going to be for you. They focus on quality handmade shoes that are going to look great, fit well, and last over the years of wear. 100% from Europe they are only going use manufacturers that they have vetted and that are going to turn out quality made shoes. Primarily geared for men, they do also offer some great selections for women as well. Make sure you check out Shoe Passion the next time you are in the market for a great pair of leather shoes. With four different signature brands in the ALDO Group, Aldo offers both men and women’s shoes. Standard shipping is $5 while express shipping is $20. If you want high-quality footwear for a reasonable price, ALDO is worth considering. Based in California, Sneakerhead offers a great selection of athletic shoes, limited editions, retro classics, and lifestyle models. Many of the products ship free and the site boasts hassle-free returns. 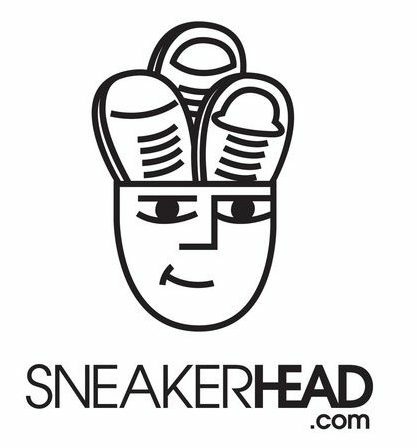 For sneaker lovers, shopping at Sneakerhead is a no-brainer. Gone are the days of having to go to multiple stores in the mall to find the right pair of shoes. Today it is as easy as sitting down at your computer or on your smartphone. Unfortunately though, if you do not know where to look online, you could be spending your valuable time there as well. This list will not only help you save time by providing the sites you should be shopping at, but it will also provide a much larger selection and also potentially save you money. Also, with free shipping and easy returns for most of these online shoe websites, you will be able to shop with confidence. So what are you waiting for? Start taking advantage of all of these great online shoe shopping sites. Have you used one of these sites before? We would love to hear your feedback in the comments below. This is very helpful and now I know all the important sites that I need to look for. Thank you so much.